When you lease or purchase a New Honda from Sussex Honda, you’re automatically enrolled in Sussex Honda Plus! This gives you access to several benefits starting the date of purchase. 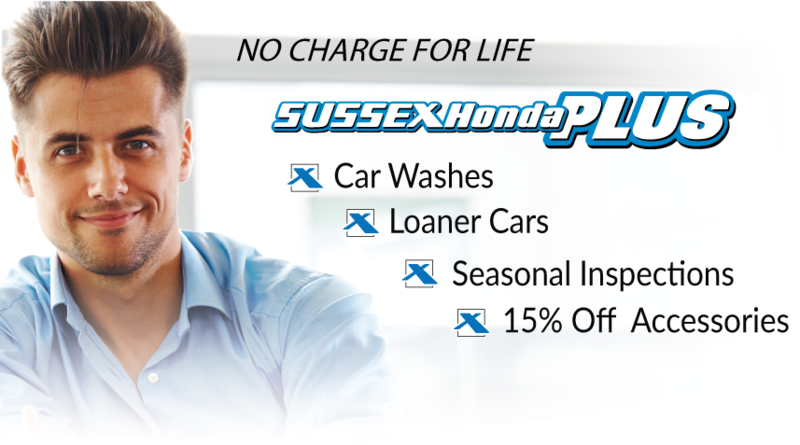 Enrollment in Sussex Honda Plus is effective as long as you lease or own the vehicle. Enrollment is not transferable. Any accessories purchased cannot be returned after opening. Maximum yearly discount for accessories is $500.